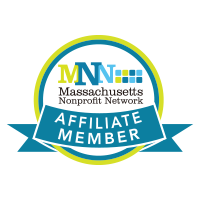 Sarah, a Principal, works with a number of significant organizations throughout New England, including Catholic Charities Maine, The Opportunity Alliance, Goodwill Industries of Northern New England, and Brewster Academy, to name a few. Clients rely on Sarah to provide objective and comprehensive feedback, offering improvements they can implement to remain competitive and compliant in the complex environments in which they operate. Sarah is a Principal in the firm’s Not-For-Profit and Healthcare Industry Groups and provides audit, accounting, and management advisory services to a variety of not-for-profit and healthcare organizations ranging in size and complexity. Sarah is also responsible for developing internal and external training sessions, including programs on federal grant compliance and board fiduciary responsibilities. Board Governance Basics: Are You Fulfilling Your Fiduciary Responsibilities?